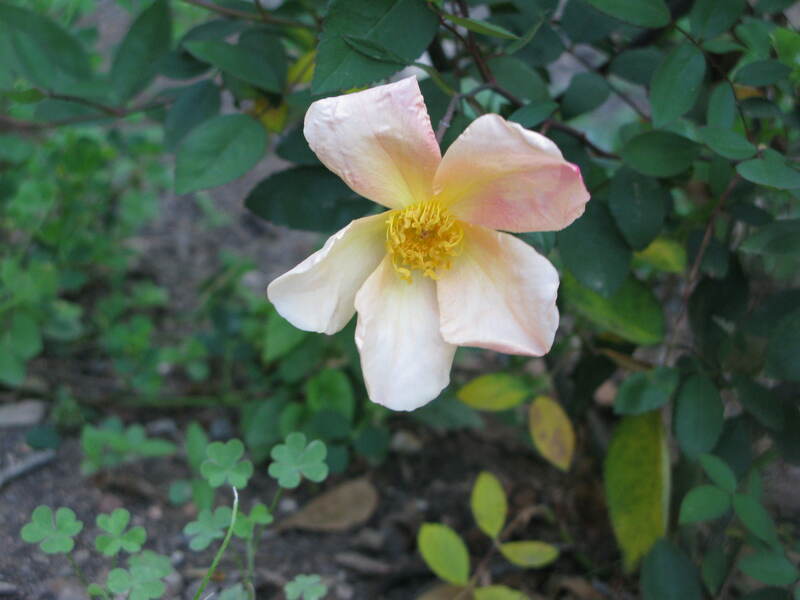 I fell in love with this rose bush when I visited a fellow bloggers garden. She had hers shaped into a 5-6 foot tree and it was in full bloom, stunning. My mutabilis opened this past week as well. I have powdery mildew on all of my roses this spring. Not sure why, except that it’s been rather humid. Enjoy your blooms! I love this rose too but must enjoy it in other people’s gardens. It really likes a lot of room. Enjoy those lovely two toned blooms.